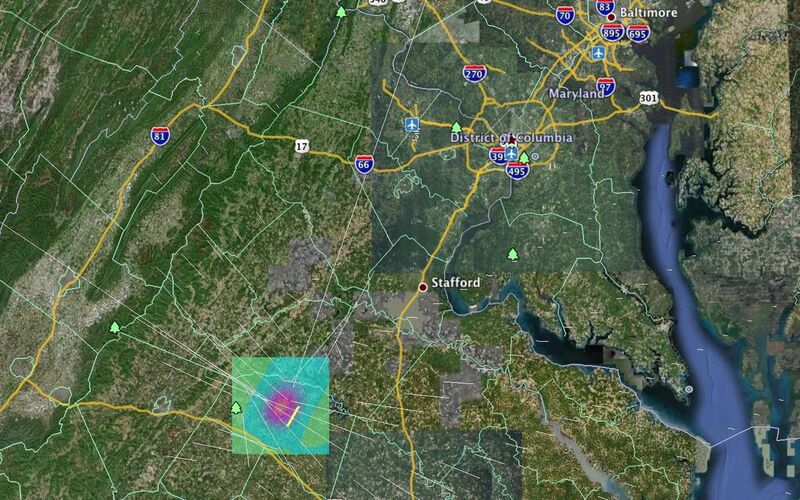 The Aug. 23, 2011, magnitude 5.8 earthquake in Mineral, Va., was widely felt up and down the East Coast of the United States. Earthquakes are caused when a fault -- a fracture in a volume of rock in Earth's crust -- breaks and its two sides slip past each other in opposite directions. This sudden slip produces shaking that can be widely felt. However, that slip also causes permanent ground movements that can be measured as motion of Earth's surface. GPS and radar technology can be used to measure these motions if they are greater than about 1/16 to 1/8 inch. The Aug. 23 earthquake was not observed by GPS or Interferometric Synthetic Aperture Radar (InSAR), but computer models can predict the permanent ground displacements that are likely to occur from such an earthquake. 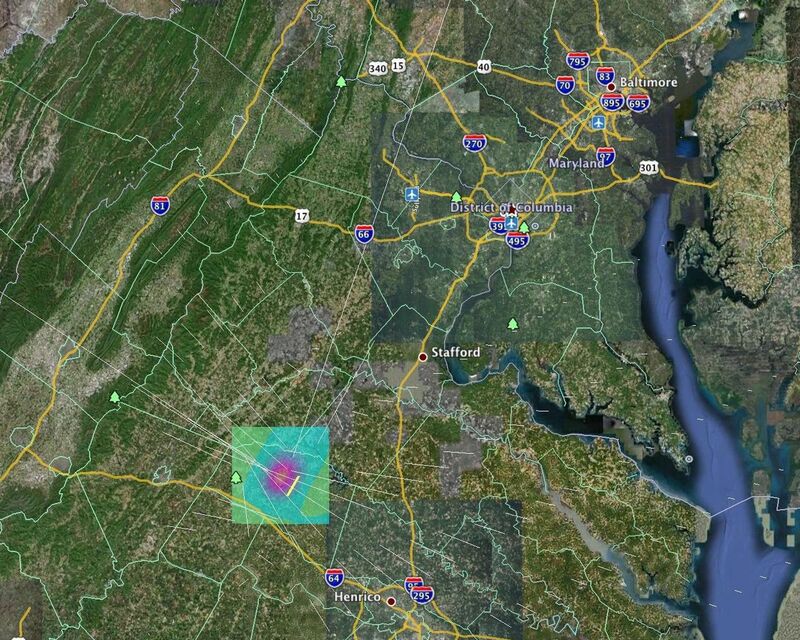 The earthquake was widely felt in Washington, D.C. and resulted in the evacuation of numerous buildings; however, the total permanent movement of the city from this earthquake is estimated to be only about 0.02 inches to the northwest and downwards. 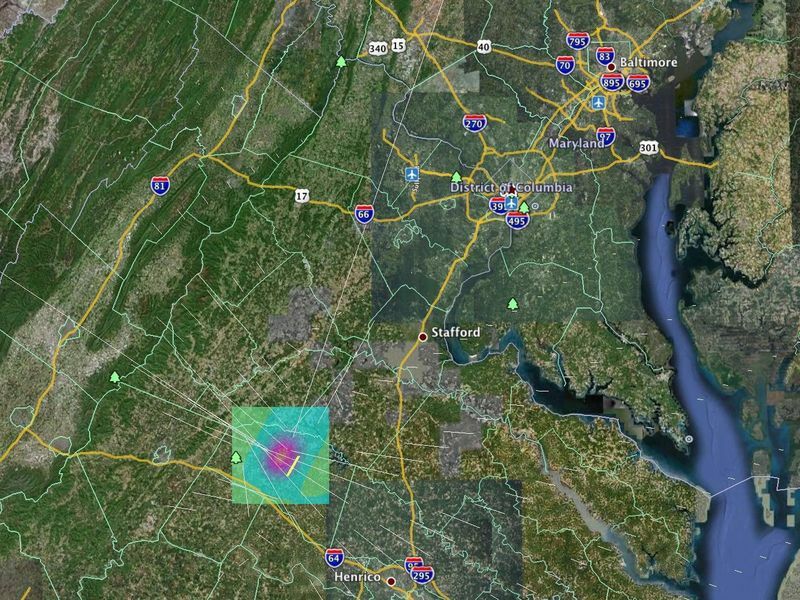 The area near Mineral, Va., probably moved closer to a maximum of 2.8 inches northwest and upward in a dome extending out from the quake's epicenter about 10 miles northeasterly across and 5 miles wide. 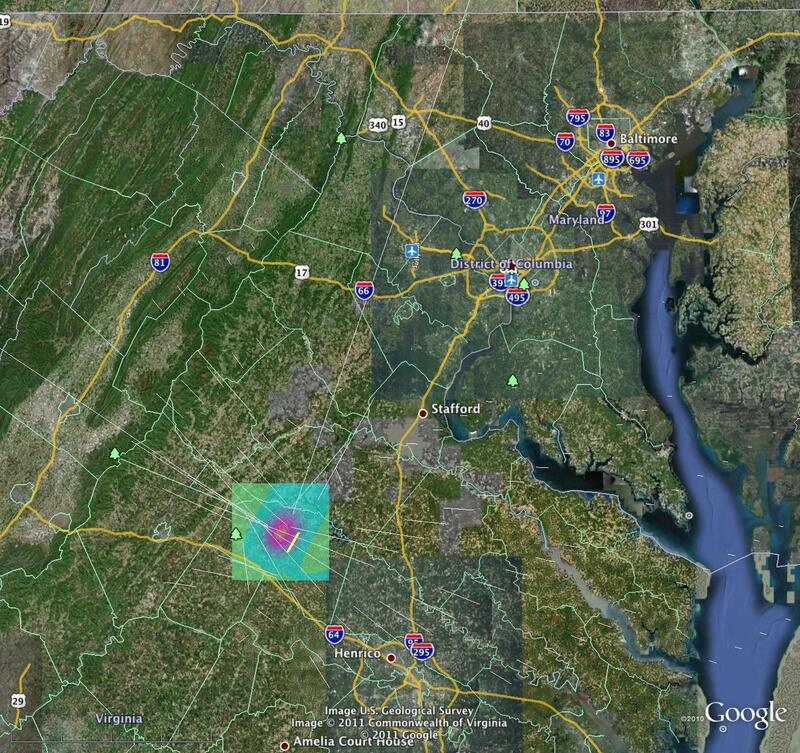 Both GPS and InSAR require data to be collected both before and after an earthquake. GPS measures exact positions of points on the ground. InSAR produces an image of deformation across a region. The computer model was generated under NASA's QuakeSim project, a computational framework for modeling and understanding earthquake and tectonic processes. QuakeSim focuses on deformation of Earth's crust, which can be measured using airborne and spaceborne technologies. The models and data can be used to better understand earthquake hazard, stress transfer between faults, and ground disturbance following earthquakes. QuakeSim, a collaboration of JPL-Caltech, USC, UC Davis, UC Irvine, Indiana University, and NASA Ames, is sponsored by NASA's Advanced Information Systems Technology Program through the Earth Science Technology Office.